Heston Blumenthal has quickly made a name for himself as one of the world's most innovative and revolutionary chefs and is best known for remaking even the most basic meals into truly delectable entrees. 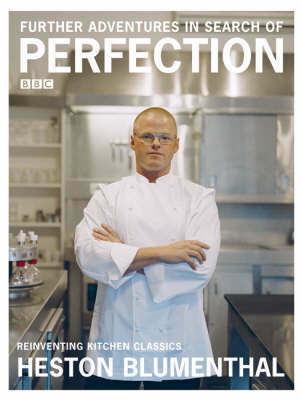 In this intriguing volume, Heston investigates every aspect of eight classic dishes: Trifle, Baked Alaska, Fish Pie, Hamburgers, Peking Duck, Chicken Tikka Masala, Risotto, and Chilli Con Carne. Along with helpful tips on how to select ingredients and cook each meal to perfection, information on the cultural traditions and history surrounding them is also provided. Lavishly illustrated and filled with insightful information from both in and out of the kitchen, this is a unique and tasty treat for aspiring culinary perfectionists.